"May the Year of the Horse bring you peace, happiness, and good fortune. Actually, there is nothing special about New Year. The ideas 2013 and 2014 are but figments of the human imagination. Having said that, we can make something good out of it. We can use the idea of transition to reconsider our lives and to renew our resoloutions." As an astrologer for fifty years, I have always been very interested in astrological calendars, and aside from publishing a yearly printed western calendar for over 40 years, I have studied the Hindo, Tibetan, and Chinese calendars in some detail, producing a yearly Buddhist practice calendar for many years, etc. 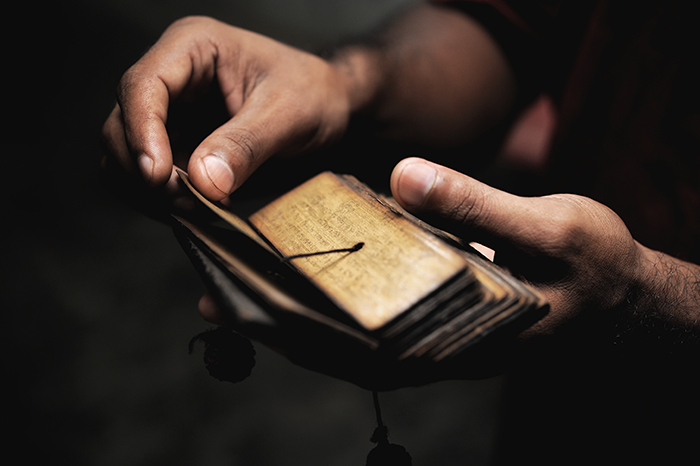 From the very beginning of my interest in dharma, I questioned just about every monk and rinpoche I met about astrology and the Tibetan astrological calendar. I am sure I was a bit of a pest because it turns out that many Tibetans don't know how their calendar is produced, only how to use it for their daily practice. Of course I was looking to better understand the methods behind making the actual calendar. And it was very frustrating because not only are most Tibetans ignorant of the inner calendrical workings, but the calendars they are using frequently are not even calculated for their particular time zone. For example, a great many use a Tibetan astrological calendar calculated for some particular place in India (or even Tibet) while they are living here in America or Europe. I hesitate to enlighten them of this. As for myself, I was mostly driven by the incongruities I found in the Tibetan astrology system, and anxious to point them out and have a discussion. However, it was like trying to pull someone out of Medieval times into the present in one fell swoop. Pointing this out was not only an exercise in futility, but as I found out, somewhat politically incorrect as well. And mine was not a casual interest. I worked at it. For example, I hired one highly trained monk (turned civilian), who spoke seven languages and was an astrologer, to relocate to our center where for some years we translated Tibetan astrology texts together. Well, he translated and I helped get the translations into reasonable English. At a later date I sponsored another astrologer-from-India's trip to America, someone skilled in the Tibetan calendrical system. Together we worked on extending the Tibetan calendar based on the Tsurphu system, one of several astrological calendars used by Tibetans. And lastly, I travelled all the way to Tibet to the ancestral home of the Gyalwa Karmapas, where at something like 15,000 feet I presented the results of my work to the young Karmapa, Orgyen Trinley Dorje, the 17th rebirth of this same being. At that time he named me Tenzin Nyima, "Holder of the Sun." I have also written a free 800-page book on Tibetan astrology. In other words, I have made efforts. So, what have I found out? I found out that in some ancient Tibetan and Chinese systems New Year was celebrated on the winter solstice as opposed to the floating New Moon calendar in use today. The solstice (winter or summer) is a precise astronomical event, not something humankind just made up. I have always personally celebrated the solstices, the winter solstice when the Sun begins to move northward again (light returns), and the summer solstice which marks the longest day of the year (Midsummer night's dream), after which we turn once again toward fall and winter. These are the New Years I celebrate. However, today the Tibetan New Year is celebrated at a particular New Moon somewhere between late January and early March, quite a range in timespan. Worse, the competing Tibetan astrological calendars don't always agree among themselves (or with the Chinese calendar), so Tibetan New Year (like this year) can be one month apart from one another depending on what system you choose. I don't find that confidence building. What this boils down to is that there naturally should not be two starting points for New Year, but there are, so this is a sign of contrivance on our part. The Dalai Lama has one calendar (Phugpa calendar) and the Karmapa another (Tsurphu calendar), and the Chinese New Year will always agree with one of these two. At least we don't have three competing New Year dates! But it gets thicker. The synodic cycle from New Moon to New Moon is not an even amount, but about 29.53 days, so twelve of these don't fit neatly into a Gregorian calendar year. Instead they come up short, so they gradually retrograde, forcing us to choose a particular New Moon among others as the start of the New Year. This is a human decision, not natural law. I will spare you the further worries of intercalary months, where an entire month is repeated or dropped, and intercalary days-of-the-month, where a day is repeated or dropped. But you can rest assured that all of these machinations are manmade and not a natural fact. They are human attempts to make the lunar calendar fit into the solar calendar, which is does not, at least not nicely. It would take an entire book(s) to go through all of the intricacies involved, so let's cut to the chase and point out what those of us who practice dharma can use for practice that is based on the natural astronomical facts. We all know that the Gregorian calendar and the civil year (January 1) is a contrivance. There is no astronomical event upon which it is based. As mentioned earlier, the solstices are natural events that actually have meaning that goes back millennia. The monthly lunar cycle, New and Full Moons, are natural events that have a long history of meaning. And of course eclipses are a natural part of the lunar cycle. Other than that, my friends, most of what passes for the Tibetan astrological calendar is designed to facilitate group practice by a monastery full of ordained sangha, so that everyone is on the same page. The choice of which New Moon will start the New Year is based on a set of rules, but finally the decision as to which New Moon is arbitrary. The same goes for double or omitted months and days – arbitrary. What you want to find and can count on is the exact astronomical time (for your time zone) of the New and Full Moon each month (and the other lunar days in the month), and I can help you there. I have a free book that is a 150-year lunar calendar, good until 2054, so that should hold you. The book is called "Dharma Practice Calendar," and you can find it here. Go to the above link, look for the "Moon Time" section (lower right) and in the bottom corner you will see a tiny red dharma wheel. Click that for the current dharma calendar. And the same goes for the solstices. The rest of the calculations in the Tibetan calendar are anyone's guess how effective they are. For example, if the New Year is arbitrary and the New Moon date that starts it is also, then it is unclear what makes the first 15 days of that first month special, etc. Or if Buddha was enlightened, etc. on the Full Moon of May, that Full Moon could be anytime from early to late May or even into June! There are many, many special days that depend on these human contrivances. How meaningful are they other than on our say so? I don't mean to deprecate this ancient system, but only to point out that any events not based on natural phenomena are contrived for one purpose of another. Of course, we can give them meaning as much as we like, and they may become meaningful that way. For my own work, I prefer to stick to actual astronomical events and not what humans devise for their convenience. This is my opinion, but it looks like His Holiness the Karmapa is saying something similar. However, if we are looking for natural astronomical events to base our practice on, then, aside from planetary considerations, look no further than to the New and Full Moons, the eclipses, solstices, equinoxes, and seasons. That is pretty much all there is, and it is enough.